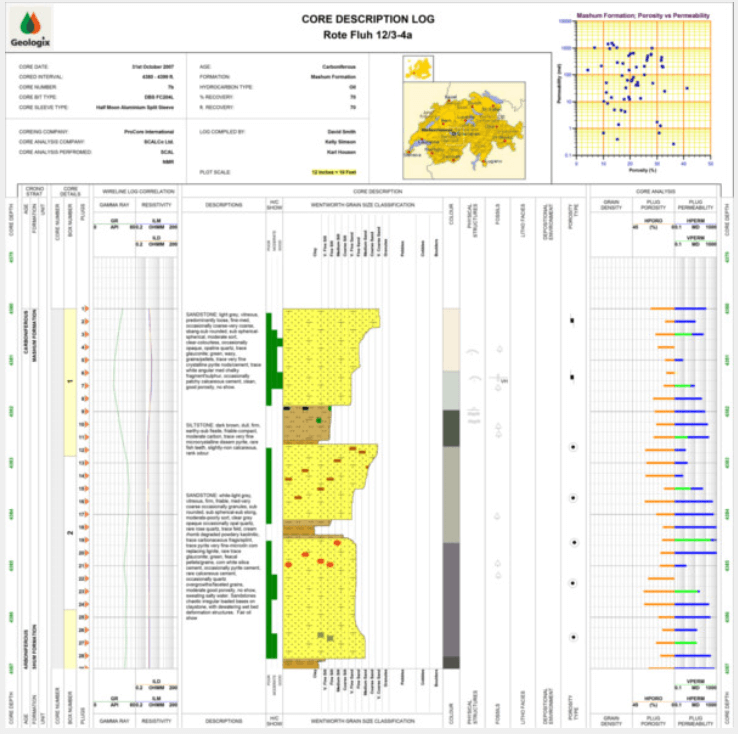 Replace hand drawn paper core logs with digital logs using GEO. Use touch screen devices to shape grain size and texture profiles and have all your geological information in digital format. Core logs by their very nature lend themselves to the flexibility of pencil and paper. A sedimentologist's education is rooted in the variety, accuracy and flexibility of pencil and paper and great pride is derived from the quality and representation of the geological story. However, to get that information digitally so that modelling and correlation can take place involves further work to scan, copy and trace the paper log. This can be time consuming and potentially involve many softwares to complete. The GEO Suite provides tools to enable the description of a core in log format to lab quality levels directly in the software. Grain size or carbonate texture can be shaped on touchscreen devices as though you were holding a pencil. 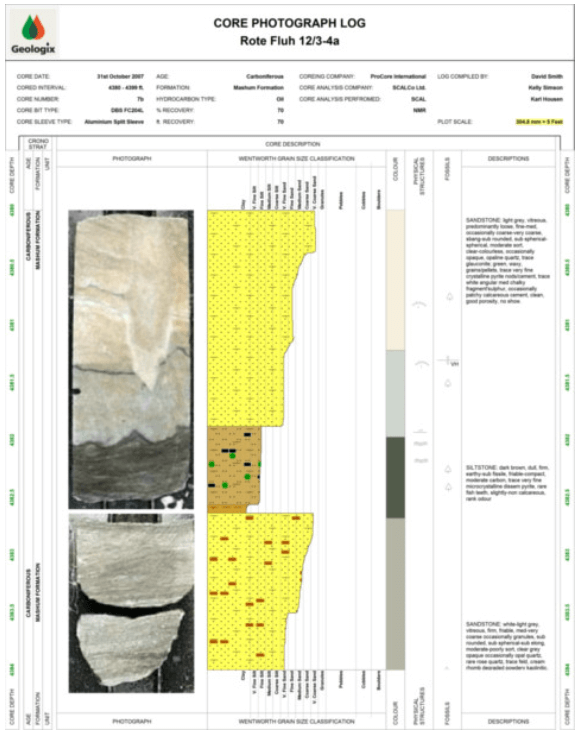 Add structures from a library or create your own and enter specific attributes like bioturbation, fossil abundance, shows, descriptions, environment interpretations, cycle sets, facies as well as obligatory depth, core tray, condition etc to name just a few of what would be recorded. Add easily the logging data from your well as well as core photographs for a comprehensive and customised core log. 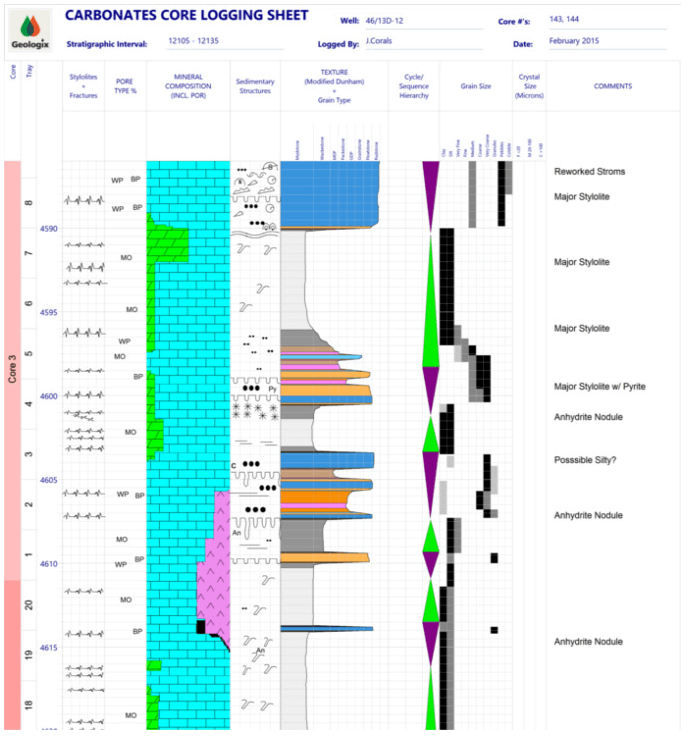 A core log template provides a main core log format, library of symbols, default and standard settings for display of features identified in the core by the sedimentologist. The library can be customised to suit the individual sedimentologist, formation or standardised across the company. GEO's powerful layouts feature allows many core log format variations to be authored. This allows easy creation of core descriptions with logging data, core photos, core thin sections and tabulated plug data information. All this combined provides a complete core description record enriched with additional content compactly packaged in one file and ready for the data to be used in other applications needed within the operation.